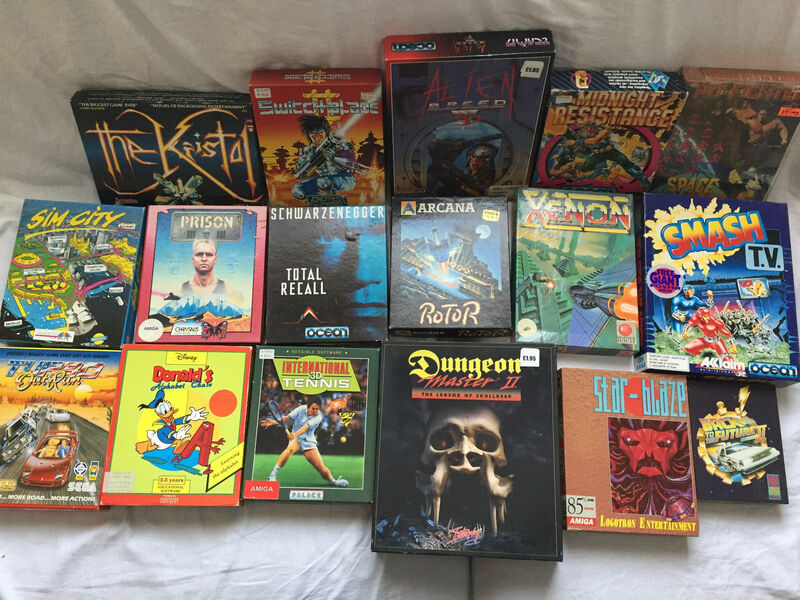 Well, here's an eBay auction for 17 boxed Amiga games that are apparently in good to great condition. It's a varied bundle with its highlights being Dungeon Master II, Alien Breed 3D, Sim City, Smash TV and the original Xenon, and a fine chance to grab a nice assortment of games for a good price. Also, Donald's Alphabet Chase!